The game is already the best-selling sports video game in history, with well over 100 million copies sold since 1993. For this release, Credit Suisse expects sales of more than 11 million units by March 2015, riding the wave of this summer's World Cup. In July, U.S. goalkeeper Tim Howard visited EA's studios in Vancouver and was fitted with a motion capture suit, performing a variety of saves, dives and kicks to help create life-like movements. 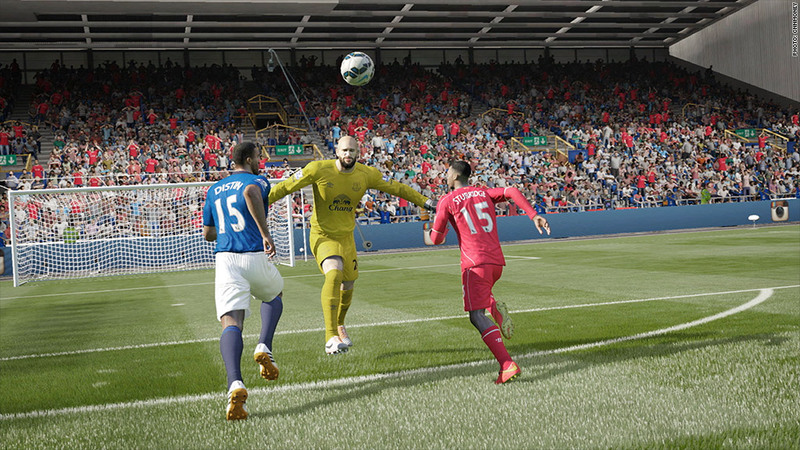 Fresh off saving the most goals in World Cup history, Howard will be the basis of FIFA 15's goalkeeper animations. "We're incorporating several Tim Howard attributes this year, for example how well he can dive and what his reaction time is," says Kantcho Doskov, a producer on the FIFA development team. EA hopes efforts like that counter past criticism of lack of innovation. "We're always nervous about fan reaction and critical reaction," says David Rutter, Vice President and General Manager of FIFA. "If we were to release a game that had been lazily put together, wasn't innovative, wasn't addressing the concerns or desires of our fans, they would let us know on Twitter and Facebook and trust me, they do a lot of that." The company had been voted the worst company in America for two consecutive years by Consumerist, prompting CEO Andrew Wilson to adopt a "players first" strategy. EA now gives fans more of a chance to play the videogames several months prior to release at various studio events and incorporates their feedback into the game's final version. Other improvements include a more true-to-life movement of the ball across the field and "footprints" in the grass as the players run across the pitch. 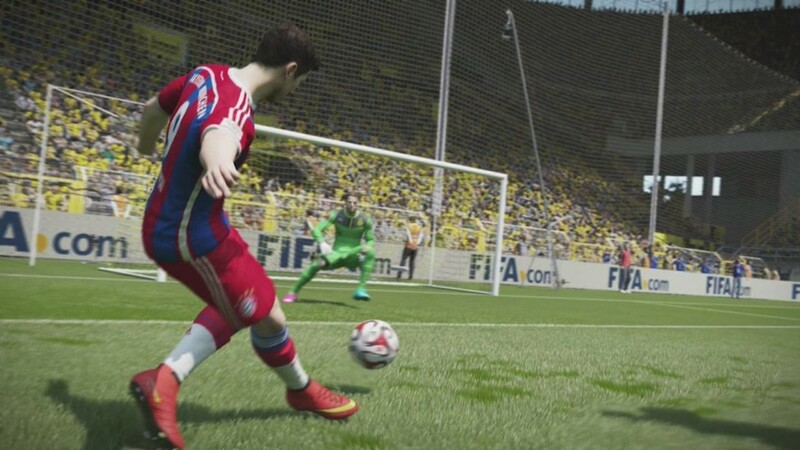 Despite the expected success of FIFA 15, video game sales in the U.S have continued to slide. According to NPD, the number of video game releases in August 2014 declined 41% compared to August 2013. However, FIFA 15 is set to benefit from the fact that game console sales have been strong, leading to a rise in title sales. EA also creates other blockbuster franchises including Madden NFL, The Sims, Battlefield and Dragon Age. The company grossed more than $3.6 billion in revenue in fiscal year 2014. The stock has risen 62% so far this year.